After 6 year’s of partnership, 32-year-old Cathy Chau Hoi Wah and 24-year-old Reginald Lee Chun Hei will move on and find themselves new partners. The Hong Kong Open will be the two’s last waltz. 【Hong Kong Badminton Open】Top badminton stars arriving in Hong Kong as competition starts tomorrow! 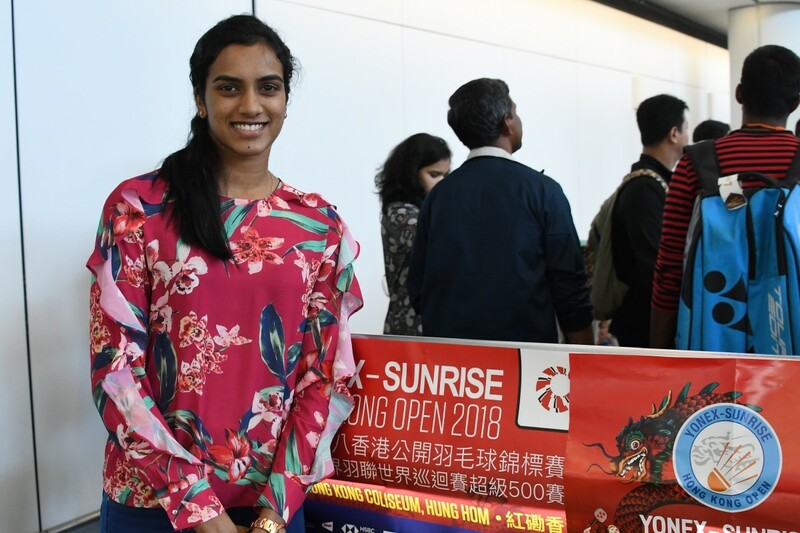 “YONEX-SUNRISE Hong Kong Open 2018” is set to unfold tomorrow (November 13) at the Hong Kong Coliseum, the 6-day event has attracted top ranked players from all over the world, as they arrived in Hong Kong over the past two days. Among them are Tai Tzu Ying, who has been the top ranked female player for 100 consecutive weeks, Spain’s Caroline Marin, and India’s very own Pusarla V. Sindhu. Team China and Team Japan also arrived today, yet there is no sign of Lin Dan at the airport, as he didn’t travel with the rest of the team, while Men’s World No.1, Kento Momota from Japan appeared to be all smiling when he stepped out of the Arrival Hall. 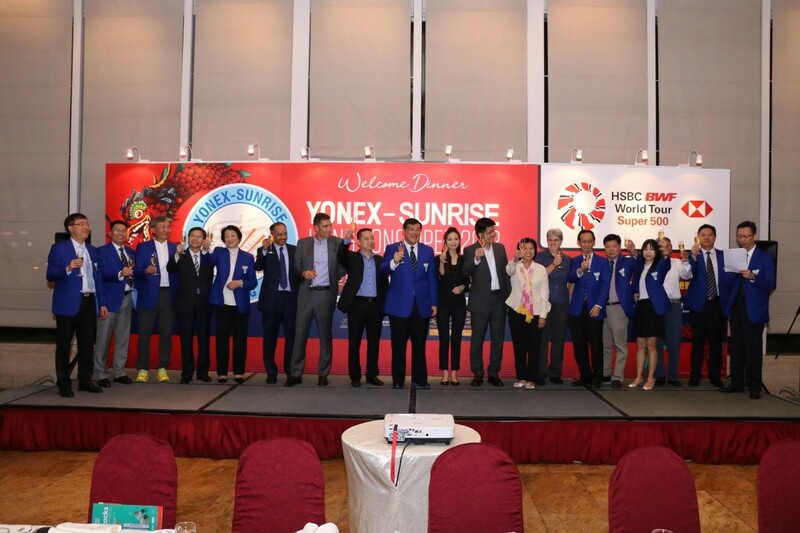 “YONEX-SUNRISE Hong Kong Open 2018” is set to unfold today (November 13) at the Hong Kong Coliseum. 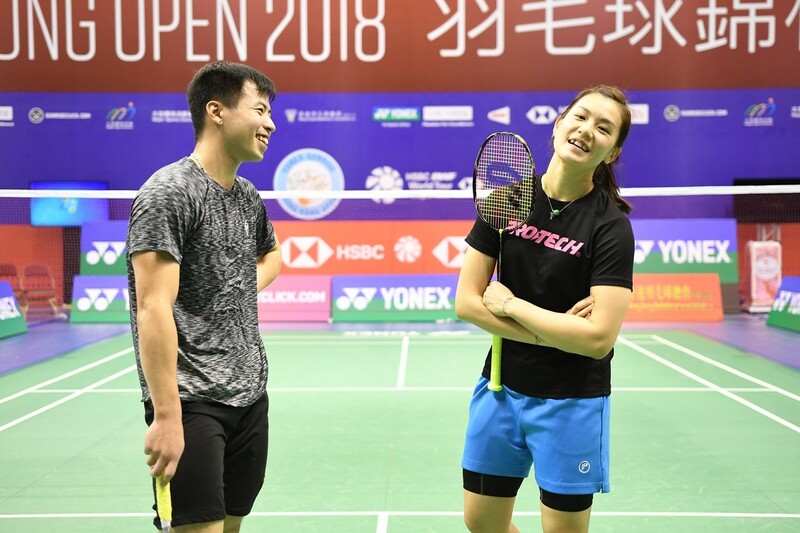 Chinese Mixed Doubles pair Zheng Siwei/Huang Yaqiong announced their withdrawal due to injury at the manager’s meeting yesterday. Before the intensive tournament starts, Ng Ka Long competed in e-sports games with overseas players during the welcome dinner last night. No one can guarantee to stay at his peak throughout the year, especially in Men’s Singles badminton. 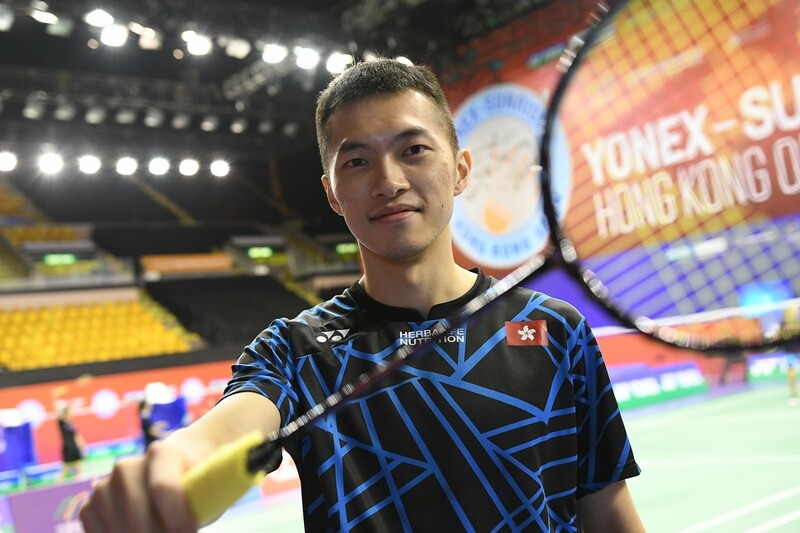 Ng Ka Long who is the current world No.14 just behind the legendary player Lin Dan of China admitted that it’s not easy to have a breakthrough as the top 20 players are on the same level. He is finding his way to make his performance more stable and mature. He wishes to achieve some good results at home in the Hong Kong Open which starts on Tuesday (13th November). To prepare for the Tokyo Olympic Games, Japan has been committed to develop their Women’s Doubles team. 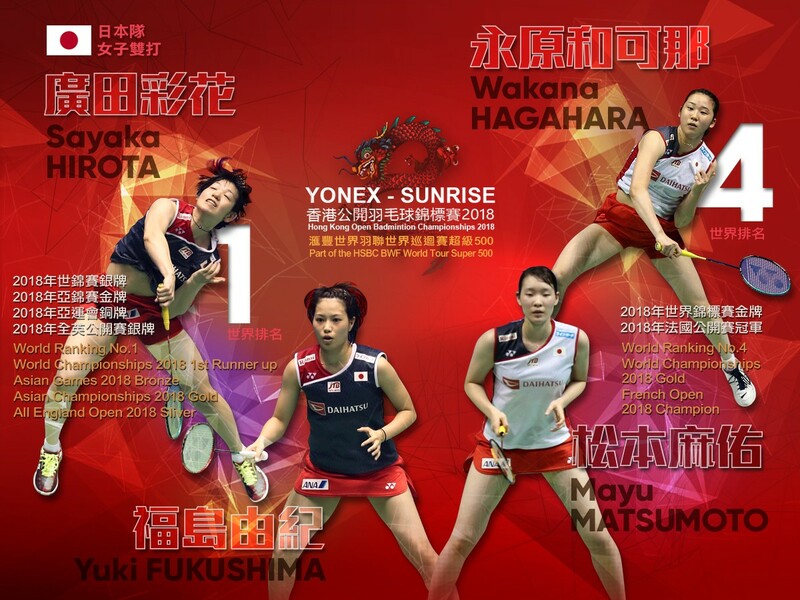 There are 5 Japanese pairs that reached the top 10 world ranking standing. Among them, Yuki Fukushima/Sayaka Hirota have rose to world ranking No.1 in June this year. They are the second Japanese pair who has the world No.1 title. 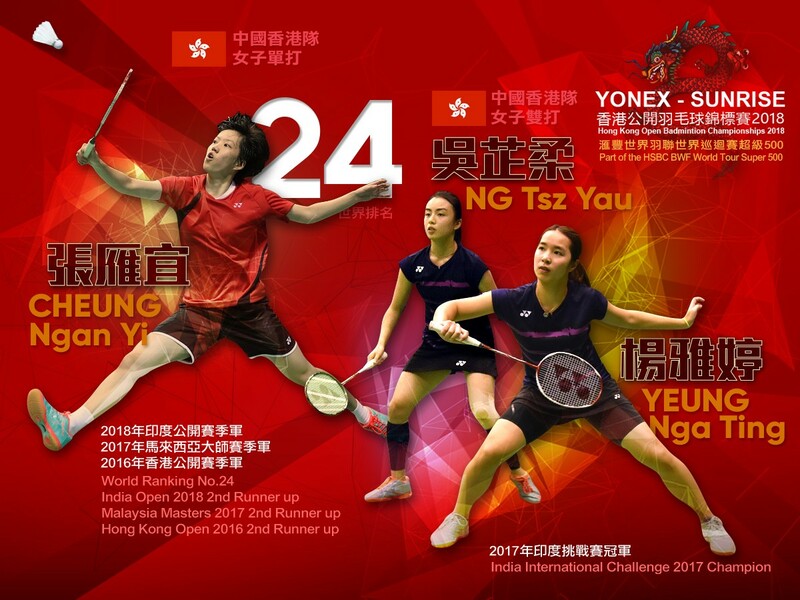 Hong Kong’s No.1 Women’s Singles player Cheung Ngan Yi will lead her teammates consisting the Doubles pair Ng Tsz Yau and Yeung Nga Ting who are going to have new partners in the Hong Kong Open to strive for their best performance. 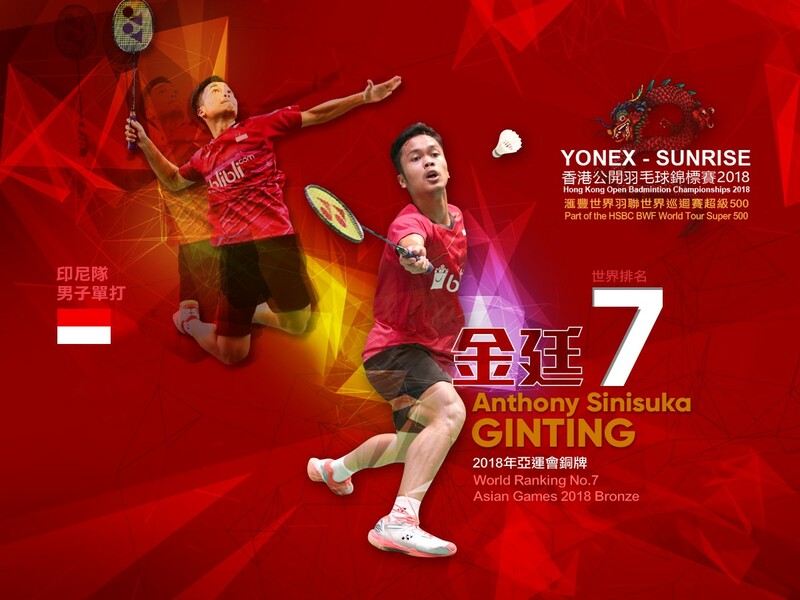 As event day is approaching we have introduced most of the famous players, today we will turn our eyes to a rising star Anthony Sinisuka Ginting from Indonesia. Badminton fans usually pay more attention to the Men's Singles players in the star-studded lineup of Hong Kong Open. But in fact, the Women's Singles event is also something we should not overlooked. Besides the world No.1 player Tai Tzu Ying we have already introduced, there are 4 other players we should not missed. 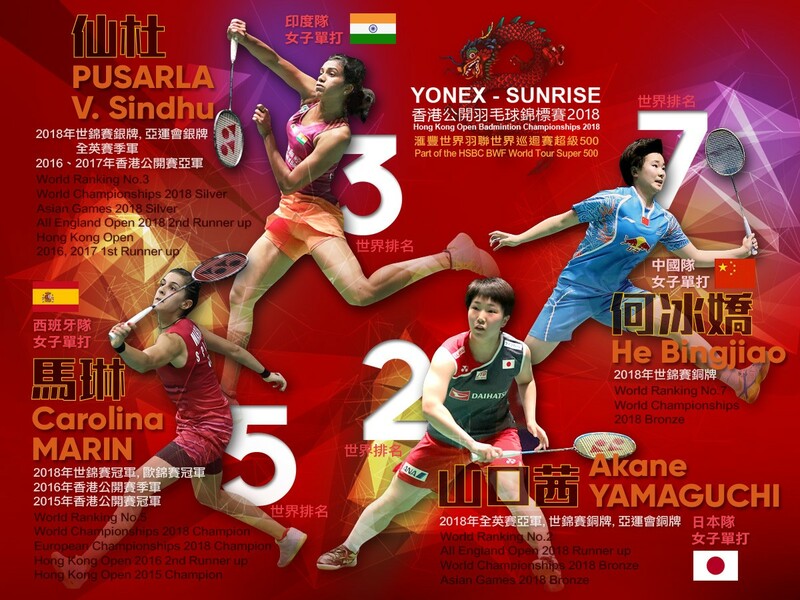 Asian players has been dominating the badminton world. Most of the top players are Asian. Among them, Tai Tzu Ying of Chinese Taipei is the current Women’s Singles World No.1 player and her teammate Chou Tien Chen has just promoted to World No.3 in Men’s Singles last week. 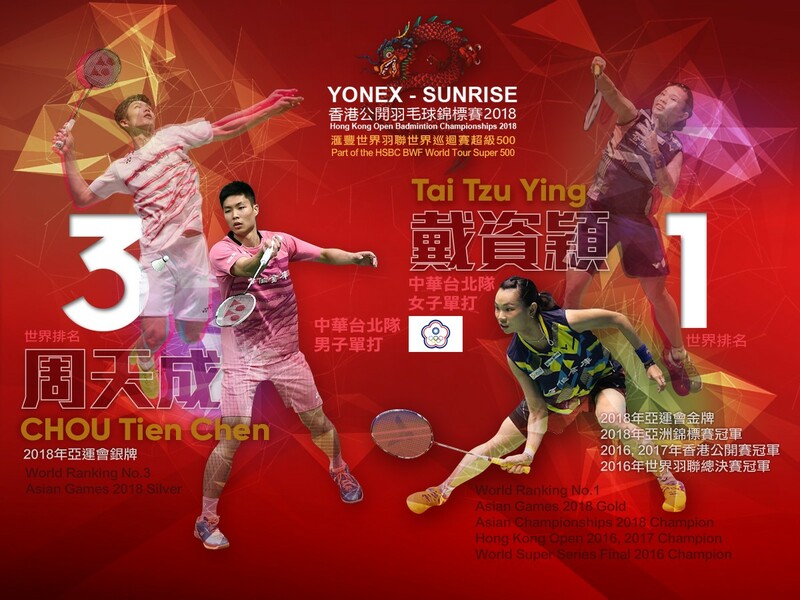 Both of them are Chinese Taipei’s highest ranking players in the history and they will take part in " YONEX-SUNRISE Hong Kong Open 2018".